A unique concert centered around Nadia Boulanger and her legacy. in an intimate salon concert setting. by third and fourth generation students in the legacy training of Nadia Boulanger. Composer, conductor, pianist Chris Whittaker’s musical language of classical, jazz, and gospel music melds genres and brings people together. Chris is the co-founder and Music Director of the Washington Heights Chamber Orchestra, a non-profit performing arts organization committed to engaging the community through free concerts and educational programming. He serves as Music Director for Fort Washington Collegiate Church in Upper Manhattan and is also the founding Music Director of Marble Collegiate Church’s “Jazz Revelation” worship service. Chris studied orchestral conducting with Kenneth Kiesler and Stuart Malina. His composition teachers include Philip Lasser, Christopher Theofanidis, and Nicholas Maw. Chris lives in New York City. Born of a deep love for French music, Suite Française seeks to share this rich musical culture with New York audiences through intimate chamber music evenings that include wine & cheese, and conversation. Experience the joy of hearing this colorful soundworld in the way it was meant to be heard! Suite Française is a musical family where performers, composers and listeners all participate in the art of sharing music. Suite Française is a project of the European American Musical Alliance (EAMA), a not-for-profit educational and cultural exchange organization committed to bringing superlative musical understanding to the musician and the music lover. Philip Lasser is a visionary composer native to French and American traditions. Since 1994, Lasser has been a distinguished member of the faculty of The Juilliard School. He is also the director of the European American Music Alliance (EAMA), a school dedicated to training young composers, chamber musicians, and conductors in the tradition of Nadia Boulanger. His works can be heard on the Sony Classical, Telarc, New World, Crystal, and BMG RCA/Red Seal labels. His works have been performed worldwide by artists such as Simone Dinnerstein, Zuill Bailey, Susanna Phillips, Elizabeth Futral, Margo Garrett, Liv Redpath, Frank Almond and Cho-Liang Lin, as well as the Atlanta, Seattle, and Colorado symphonies, and the MDR Leipzig Radio Symphony Orchestra, among others. In the 2018-19 season, Ms. Phillips will return to the Metropolitan Opera for an eleventh consecutive season to sing her acclaimed Musetta in Puccini’s La bohème. She will also make role debuts as Micaela in Carmen and Donna Elvira in Don Giovanni with the Metropolitan Opera. With Cincinnati Opera, Ms. Phillips will sing the role of Countess Almaviva in Le Nozze di Figaro. 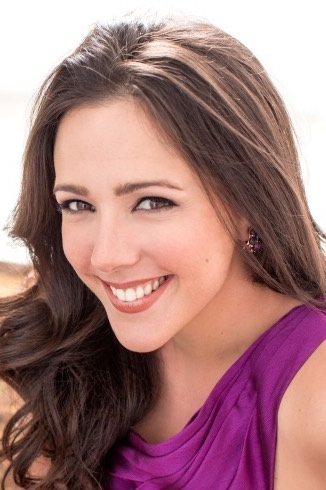 Ms. Phillips will perform and record Berg’s Sieben Frühe Lieder with the San Francisco Symphony, led by Michael Tilson Thomas, and will sing Mahler’s Fourth Symphony at the La Jolla Music Society’s SummerFest. Ms. Phillips will celebrate the bicentennial of Alabama with her native Huntsville Symphony Orchestra, performing Strauss’s Vier Letzte Lieder. This summer’s highlights include a recital with Lincoln Center’s Mostly Mozart Festival, and the 10thAnniversary of chamber music with Twickenham Fest, of which she is a co-founder. A native from Paris, coloratura soprano Onadek Winan recently graduated from the Juilliard School where she received her Bachelor and Masters. She performed all over the world from Carnegie Hall to the Avignon Opera House and recently made her recital debut at the Festival de l'Orangerie de Sceaux. She spent summers at Houston Grand Opera and Wolf Trap Opera where she was the title role in the commissioned opera Listen Wilhelmina. She has been named by the Juilliard School 2015 Presser Scholar in recognition of her outstanding achievement as a music major and was a proud Kovner Fellow. Upcoming she’ll perform at the Symphony Space in New York the Queen of the night in Mozart’s Magic Flute. She is the proud winner of a 2018 Novick Career Advancement grant as well as the 2018 Safran Foundation for exceptional young musicians grand winner. Onadek has been named 2019 artist of the year by Entraide Française of New York. The versatile conductor Mark Shapiro is at home with orchestras, choruses, and opera. He is unique among North American conductors for having won a prestigious ASCAP Programming Award five times, at the helm of three different ensembles. Shapiro is Music Director of the Prince Edward Island Symphony and The Cecilia Chorus of New York, which performs in Carnegie Hall, and Artistic Director of Cantori New York. Born in Paris, Mélanie Clapiès studied and developed her musical career in France before moving to the United States where she passionately pursues a solo and chamber music path. Her commitment to performing chamber music repertoire led her to collaborate with artists such as Pavel Vernikov, Vladimir Mendelssohn, Bruno Giuranna, François Salque, Adam Laloum, Guillaume Vincent, Patrick Hemmerlé. She is the co-founder of the festival “En attendant…” in Semur en Brionnais, France. April 11th 2019 ——SOLD OUT!! and Onadek Winan sing an evening of Philip Lasser’s vocal repertoire. The concert will include Susanna Phillips singing Colors of Feelings, a cycle of 4 songs on the poems of Wynelle Ann Carson, commissioned by Ms.Phillips; Onadek Winan performing Elemental Earth, a new set of songs on the poems of Robert Frost; and a very special performance of Lasser’s Nicolette et Aucassin, a XIIIth Century Sungfable (Chantefable) for 2 Sopranos, Narrator and piano. Aucassin, le Bel from Nicolette et Aucassin with Susanna Phillips and Elizabeth Futral, sopranos and Margo Garrett, piano. A special Lecture Performance with violinist Mélanie Clapiès, composer Philip Lasser will discuss the the compositional world of J.S. Bach in two of his legendary works for solo violin: G minor Sonata and D Minor Partita and what he used of Bach’s to create his own hybrid work for solo violin Sonapartita. Philip Lasser's Sonapartita is an exploration into to the commingled world of the G minor Sonata and the D minor Partita of J.S. Bach. The title, Sonapartita, comes from the hybridization of the names for the two famed genres of J.S Bach's solo violin works: his Sonata and Partitas. The movements in the Sonatas generally have title for abstract forms like Prelude or Fugue while the movements in the Partitas have dance titles. Since Lasser's work is a blending of materials from a Sonata and a Partita, the titles for his movements are fanciful names blending the titles from both genres. In keeping with the grand tradition of works for solo violin like those of Bach and Ysaÿe, Lasser's Sonapartita is both technically challenging and highly dramatic for the soloist involving thick harmonic textures in the Sarabandesque, aggressive double and triple stops along with sparkling left-hand Pizzicati in the Fugavotte and ending with an ever-warming Petite Chaconne, which bears genetic similarity to Bach's own at the end of his D minor Partita. Born in Paris, Mélanie Clapiès studied and developed her musical career in France before moving to the United States where she passionately pursues a solo and chamber music path. She is the co-founder of the festival “En attendant…” in Semur en Brionnais, France. 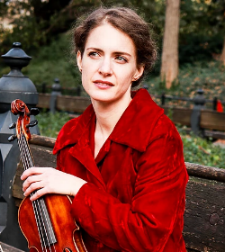 Together with cellist Yan Levionnois she recorded the album “Pierrots Lunaires.” The project grew out of her interest in exploring unusual repertoire and her commitment to throwing new light on fascinating, but forgotten pieces. The album contains 20th and 21st century duos for violin and cello and was released by Fondamenta in 2014 and is distributed by Sony in the US. A Zonta Club laureate in 2001, she received the Broadus Erle Prize (2013), the Yale School of Music Alumni Association Prize (2014), and the Philip Francis Nelson Prize (2015). She was the winner of the Woolsey Concerto Competition in 2015 at Yale. In 2014 and 2015, she received her Masters of Music and her Artist Diploma from the Yale School of Music where she studied with Syoko Aki. She is currently completing a Doctoral degree at the Manhattan School of Music where she studies with Mark Steinberg. A rare opportunity to share an intimate concert and discussion with the artist and the music. An intimate salon concert, a world-renown pianist, art, music and conversation. Experience the gripping interaction between the narcotic music of Schubert and the hypnotic music Philip Glass. Simone Dinnerstein relates Impromptus by both composers in a work that reaches over the centuries to uncover the common quest for power in expression and deep connection with the listener. This is a rare opportunity to hear the magnificent pianist, Simone Dinnerstein in an intimate salon setting play and have a discussion with you over wine, cheese and the works of Schubert and Glass. Simone will also perform Philip Lasser’s Winter Landscape, a work inspired by the eponymous painting by Pieter Breughel. The composer and the pianist will discuss the painting and the issues relating the visual to the aural painting. February 8th 2017- SOld OUt! CLAUDE DEBUSSY: "LA MUSIQUE EST LE SILENCE ENTRE LES NOTES"
Chopin Prelude #1 & Debussy "Brouilliard" / Chopin Prelude #9 & Debussy "La Cathédrale Engloutie" / Chopin Prelude #15 & Debussy "La Terrace des Audiences du Clair de Lune"/ Chopin Prelude #14 & Debussy "Ce qu'a Vu le Vent d'Ouest"
OCTOBER 26th 2016 Concert - Sold out! DUANDUAN HAO & PHILIP LASSER. THINGS ARE BOUND TO BUBBLE! Claude Le Jeune is among the most famous composers of non-liturgical music in France of the 16th Century. Composing in the movement known as “les vers mesurés,” his music reflects accurately the stresses and meter of the French language. The rhythms that result are lively and fluid creating an elegant and flexible flow. A Protestant from early on, Claude is forced to flee from Paris in 1589 for having written an anti-Catholic tract. It is only through the heroic actions of his dear friend, Jacques Mauduit at the St. Denis gate, that Claude Le Jeune is saved as well as the music manuscripts he carried with him. This small fact has enormous historic importance since Claude Le Jeune would have been among the first composers to have access to a useable keyboard (perhaps a clavichord, harpsichord or clavi-cembalum). Composing at the keyboard would allow Claude Le Jeune to “play and hear” everything (all the voices in his work) as he was writing. And this with just his two hands! Composers prior to this new technology would have had only their ears, imagination and unwieldy sets of polyphonic rulebooks to compose with. Theirs was a uniquely linear, vocal world. Claude Le Jeune’s musical world becomes suddenly much more modern. As anyone who plays the piano would know, seeing and feeling chords in the hands and how these chords move from one to another gives an amazing grasp of the music as a whole. It changes how one thinks of music and historically, the keyboard single-handedly changed how music would be composed for Claude Le Jeune and for every composer afterwards even to today.